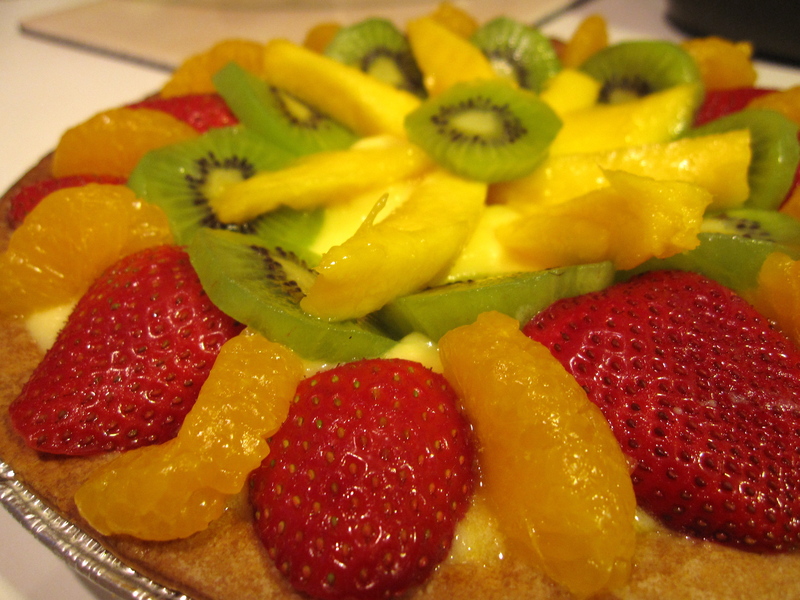 never have i made a fruit tart fully from scratch. i’ll get there one day. sometimes i’ll make the filling with milk, sugar, cornstarch, but other times i’ll use instant jell-o. sometimes i’ll make the sugar glaze from scratch, other times i’ll just boil orange marmalade. never have i made a crust. 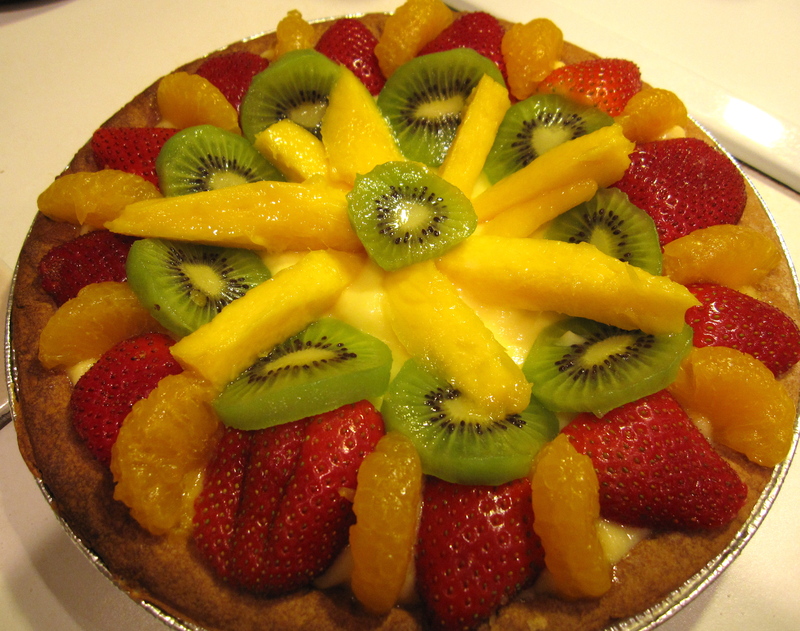 i completely cheated on the fruit tart i made this weekend. that said, i must say, it’s one of the prettiest ones i’ve made. pie crust: frozen pillsbury. bake according to instructions. filling: lemon jell-o instant pudding. follow instructions.